Since the opening of the first Ronald McDonald House in Philadelphia, PA, the entire McDonald’s system (owner/operators, suppliers, employees and customers) has helped each Ronald McDonald House support families with sick children providing stability and vital resources. McDonald’s support extends from monetary contributions and volunteerism, to cause related marketing promotions and the space to place RMHC Donation Boxes that raise money for Chapters around the world. McDonald’s has helped RMHC Tulsa positively impact thousands of children and their families, and continues to provide valuable resources and support to help us expand our core programs and services. 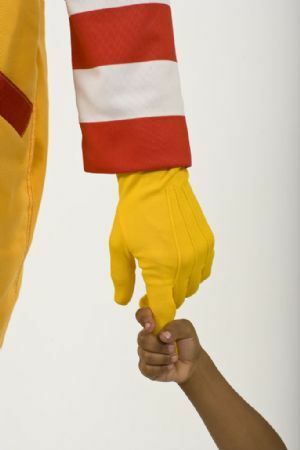 Although the McDonald’s system is our largest corporate partner, RMHC Tulsa is a non-profit 501(c)3 corporation. RMHC Tulsa relies on the support of the entire community and greatly values donations from the community and other corporate partners.